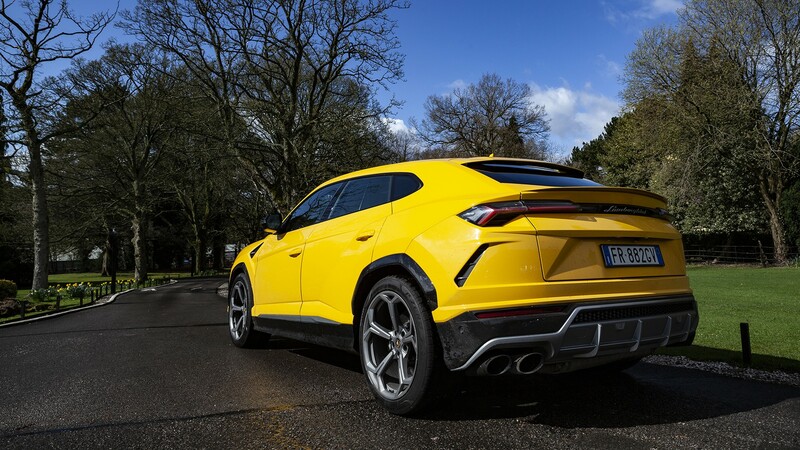 Subtlety is not one of the Lamborghini Urus’s strong points. But then, that’s like saying, “Uh, Mount Everest, stop being so tall!” Or “God, Niagara, enough with all the splashing, already!” It is, simply put, a force of nature. Or more accurately the best of what human nature can muster from an SUV. The concept of a ‘performance SUV’ is still relatively new in the automobile timeline. Most would quote the Porsche Cayenne as the forerunner of a group that now includes everyone from Bentley to Maserati. Indeed, even Ferrari – which once said it would never make an SUV – has conceded: project Purosange as it is known by the Prancing Horse is due on our roads in 2022. But actually, it is Lamborghini which was the first manufacturer to produce a performance SUV. Launched in 1986 – a full 16 years before the Cayenne – the LM002 was fitted with a 444bhp 7.2-litre V12 originally intended for a powerboat. And crucially, it had full-time four-wheel drive. Zero-60mph was 7.7 seconds – fairly impressive for the era; more impressive when you learn the LM002 weighed 5,972 pounds. The car and the concept was in many ways ahead of its time – and only 300 were ever built. But it’s safe to say that the new Urus is right on the zeitgeist. In an era when the consumer wants it all, and it wants it now, the Urus delivers – in 8K UHD clarity and 200MB super-fast speed. 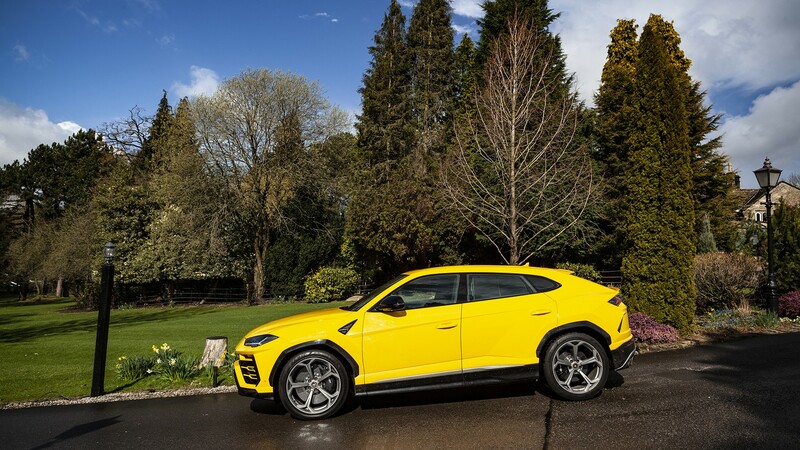 Delivered to the Square Mile offices in a solar shade of yellow, you can’t get away from it: the Urus has presence by the bucketload. And that is, of course, exactly what you want from a Lamborghini. It should be outrageous and unapologetic in equal measure. Partially thanks to the Bumblebee yellow, the most prevailing simile it received was “it’s like a Transformer” – and that is perhaps the most accurate of all the comparisons. 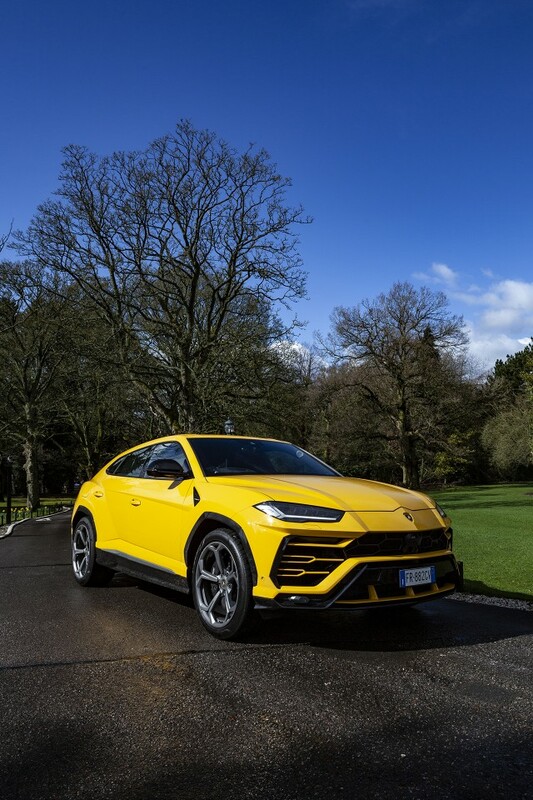 Because the Urus really can transform itself. Set the car to ‘Strada’ mode, and it is relatively docile. The leather seats are comfortable and cosseting – preloaded with an eclectic range of massage settings for your pleasure. The ride is smooth, the steering light, and the sound system Bang & Olufsen: this is a lovely place to be. Flick it into Sport, or if you’re brave enough, Corsa – and the Urus is transformed into an evil, snarling beast. The 4.0-litre twin-turbo V8 begins barking, the steering starts to bite, and your hair stands on end. This thing is prodigiously fast. Not just for an SUV – for any car. Thanks to that 641bhp powerplant, zero-60mph takes just 3.5 seconds. That’s faster than a Porsche 911S in a car big enough to fit an Ikea wardrobe inside. Perhaps more impressive is the 627lb ft of torque – available from astonishing low revs in any of its eight gears. The noise is epic – it’s Michael Bay in Dolby Surround Sound epic. OK, it’s not quite as ear-splitting as Lamborghini’s V10 and V12 stablemates. But then, you wouldn’t want to deafen the kids, would you? There’s certainly plenty of room for them – including TV screens on the rear headrests and Isofix bars in the back. This has to be the only car that comes with both child-seat attachment points as well as a G-force meter in the dashboard. 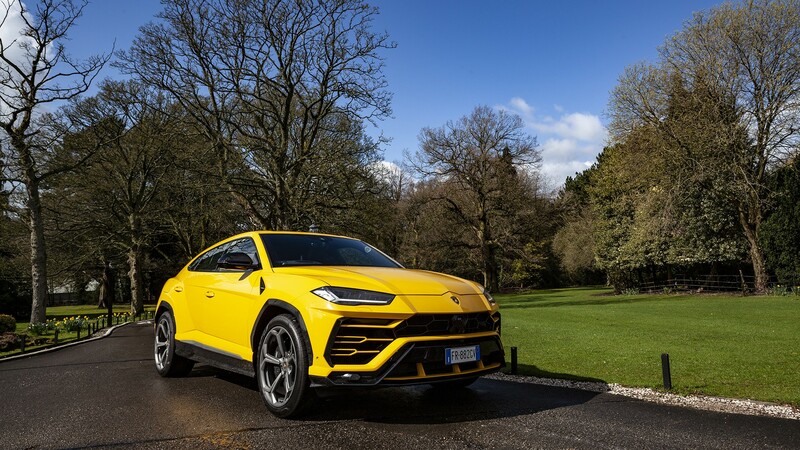 Assuming that your children don’t suffer from car sickness, then there’s a lot of fun to be had with the Urus. I’ve driven everything from a Bentayga to a Range Rover Sport SVR, and no SUV handles as well as this. Throw it around a corner and there is zero body roll – it stays as flat and true as a car half its height or indeed its 2.2-tonne weight. Alongside the preset driver modes – which include Sabbia (sand), Terra (earth), Neve (snow) – there’s my personal favourite, ‘Ego’. (It’s actually called that.) Via a chunky lever, it allows you to pick’n’mix from the presets. So you can have the suspension on squishy; the steering at a sensible medium; and the powertrain dialled up to 11. Practicality is not a word you would usually connect with Lamborghini, but when there’s a 616-litre boot – 1,596-litres with the rear seats down – it’s not to be sniffed at. There’s even four-wheel steering, the rear wheels turning by up to 3 degrees, proving useful when trying to negotiate the car park at Waitrose. 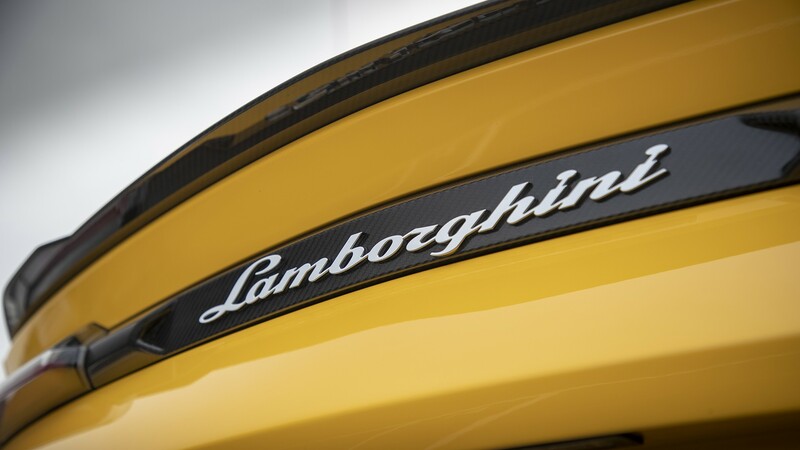 It is also Lamborghini’s most fuel efficient car ever – this is partly down to the ingenious cylinder deactivation system that shuts off four cylinders below 3,000rpm, with the added benefit that it’s quieter in traffic. And then there’s its off-road abilities. 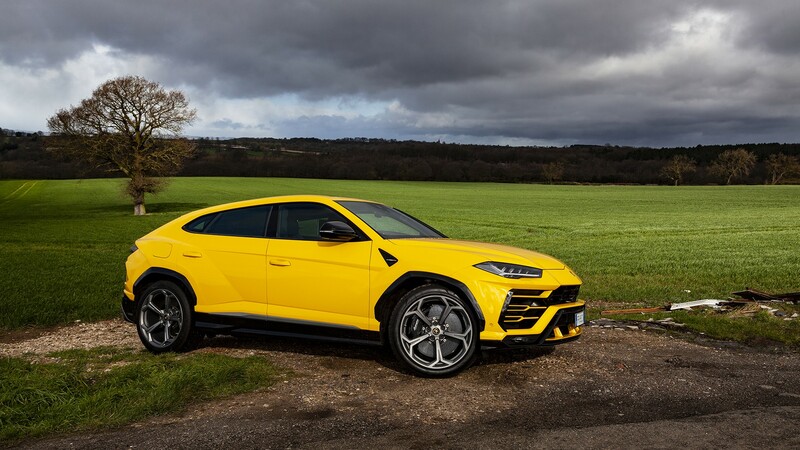 I won’t dwell on these – not because they’re not impressive; no doubt they are – but because you and I know that very few farmers will end up driving around their fields in a Urus. 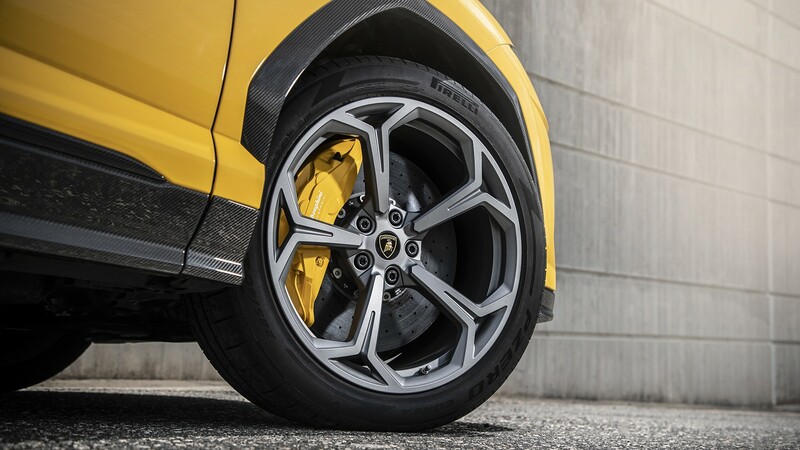 I did take mine down a dirt track and across a ford, though – Urus 1: Aventador 0. Inside, there’s still plenty to remind you of the Lamborghini’s sporting pedigree. There’s lots of carbon fibre – around the air vent surrounds, and down the door panels, and even on the petrol cap. 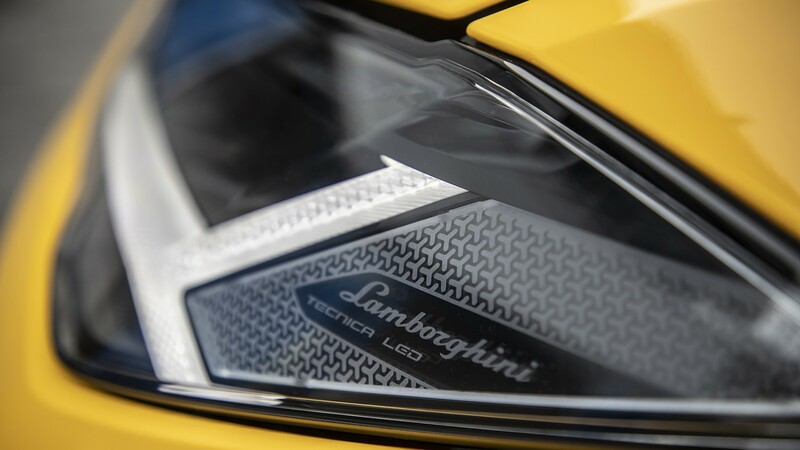 Lamborghini’s angular hexagon motif is everywhere you look, from the door handles to the gear paddles. And then there’s the starter button – residing beneath a red cover that has to be flipped up, like the nuclear switch with which Trump is far too familiar. The interior design (much like the exterior for that matter) is a fusion of racing car, tank and spaceship. It’s dramatic; it’s cinematic; and it’s a lot of fun. 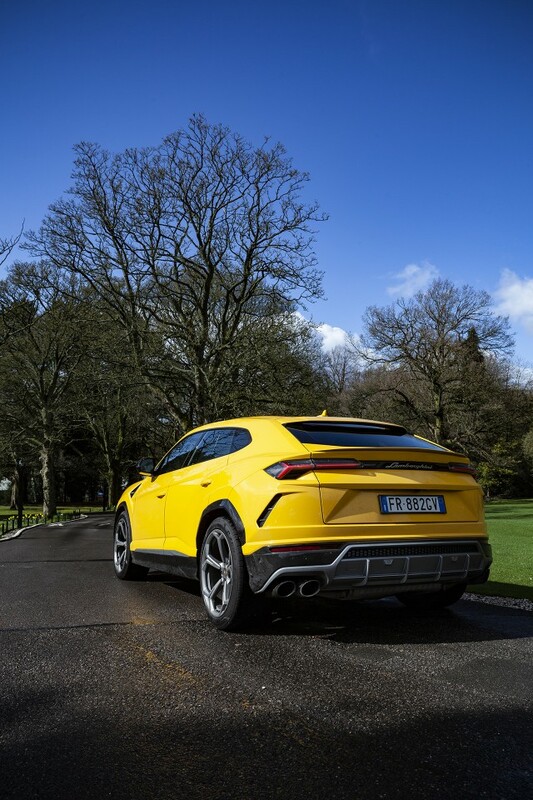 And that’s really what the Urus is about: it’s for big kids who happen to have their own kids.